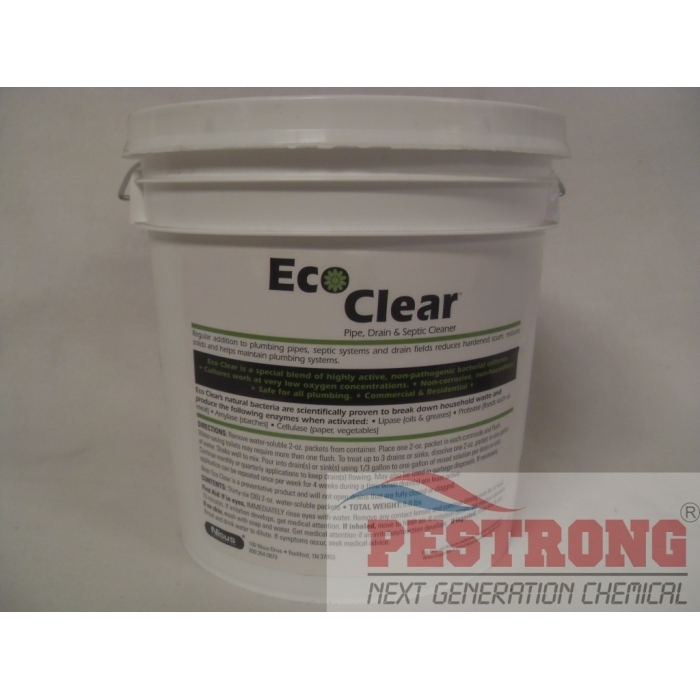 Where to Buy Eco Clear Septic Cleaner, EcoClear Pipe Drain Septic Cleaner - $5.95 for Sale with Fast Free Shipping! 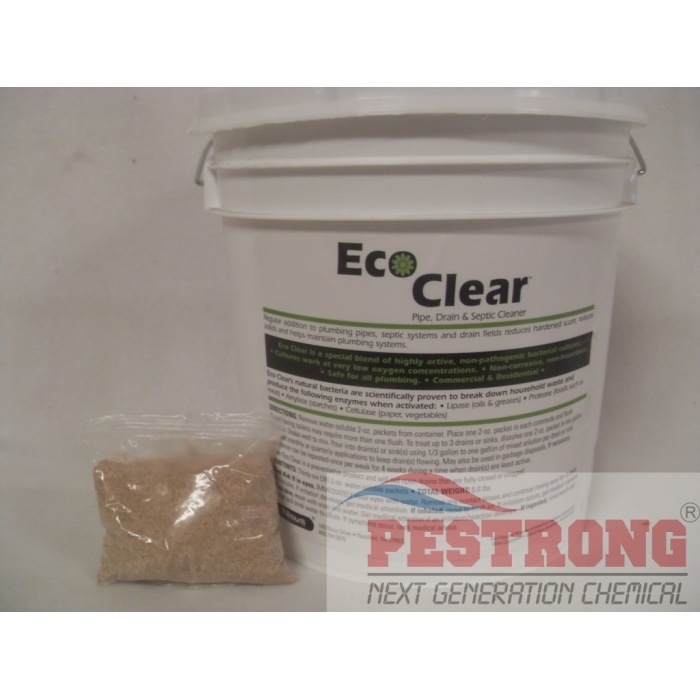 EcoClear Pipe Drain Septic Cleaner uses a specific non-toxic microbe for the breakdown of materials in sewer and septic systems. 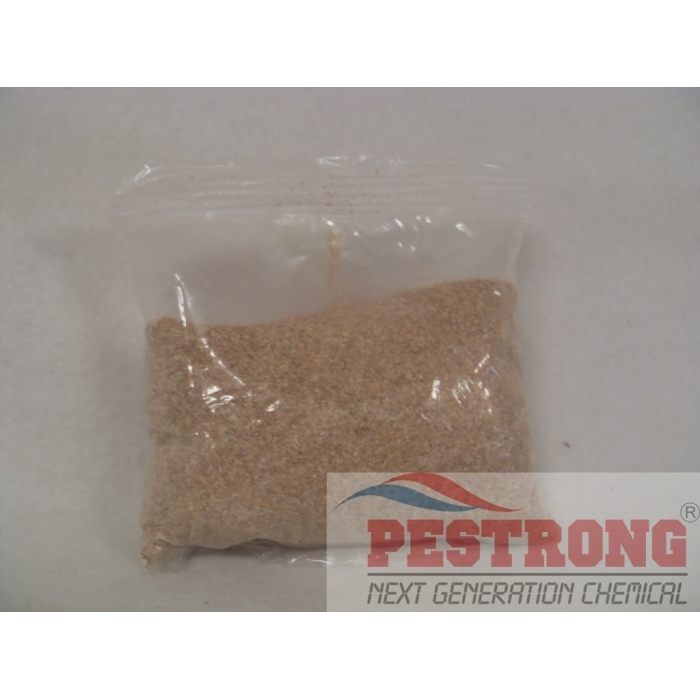 It is used in both sewer and septic systems to keep the entire plumbing system running smoothly. EcoClear Pipe Drain Septic Cleaner's natural bacteria produce enzymes that are scientifically proven to break down household waste. It is non-corrosive, nonhazardous and safe for all plumbing. Regular addition to plumbing pipes, septic systems and drain fields reduces hardened scum, reduces solids and helps maintain plumbing systems. Safe and effective - "Beyond Green"
Toilet Rate : simply drop one 2 oz packet(water soluble, don't tear) in each commode and flush. If necessary, application can be repeated once per week for 4 weeks during a time when drain(s) are least active. This is a preventative product and will not open drains that are fully closed or clogged. Where was this product my WHOLE LIFE? it cleans out my pipe but it doesn't hurt it. Last year I had my toilet water, shower room sink water, and just about anything that could back up and flooded my house and cost me $3000, none of that would have happened if I knew there was something like this to clean out the pipes, well too late now, but I guess I can prevent it from ever happening it again and should be happy with that.